Nothing says summer celebration than a hint of sparkly sequin! What better way to celebrate than under a balmy starry Sydney sky on our beautiful harbour wearing this inspired outfit! *note: I have numbers 1 & 2 arriving in my snail-mailbox sometime soon!!! I love navy! It’s so chic! I am really getting in to navy at the moment as well! As a redhead, my colour scheme is quite limited, so I’m happy to have discovered navy! A redhead in navy is just divine! And you should try emerald too! I do love emerald, I bought a maxi dress from Portmans and it is divine! Oh, love that outfit (couldn’t wear the shoes though….!) 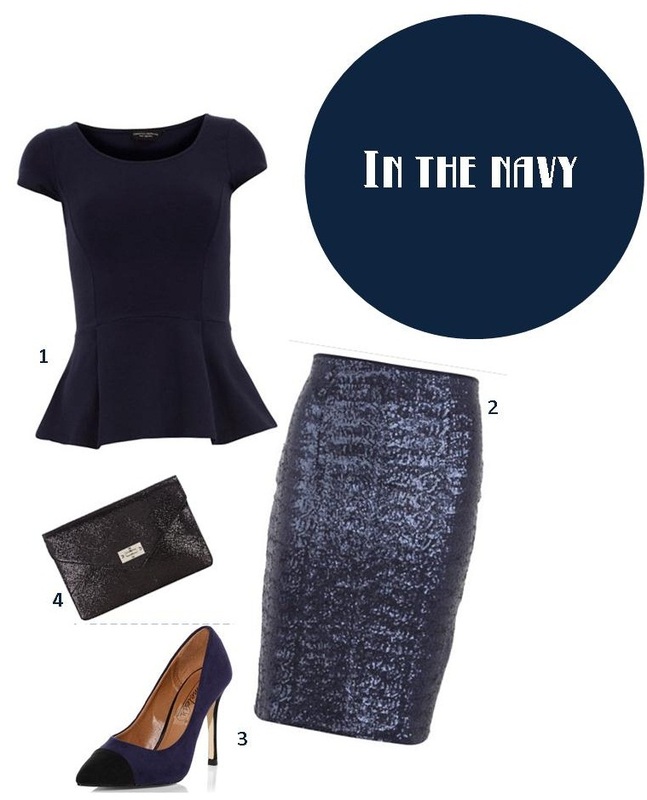 love navy and used to wear a lot of it and the sequinned skirt – gorgeous! Im not so good with heels, but they look hot! Love the outfit; especially the skirt! I loooove the outfit- so perfect for the holiday season. Navy has always been one of my favorite colors to wear; it’s dark and sophisticated, but it’s not black. Your post, in the navy | [existential detective], is really well written and insightful. Glad I found your website, warm regards from Dewitt!